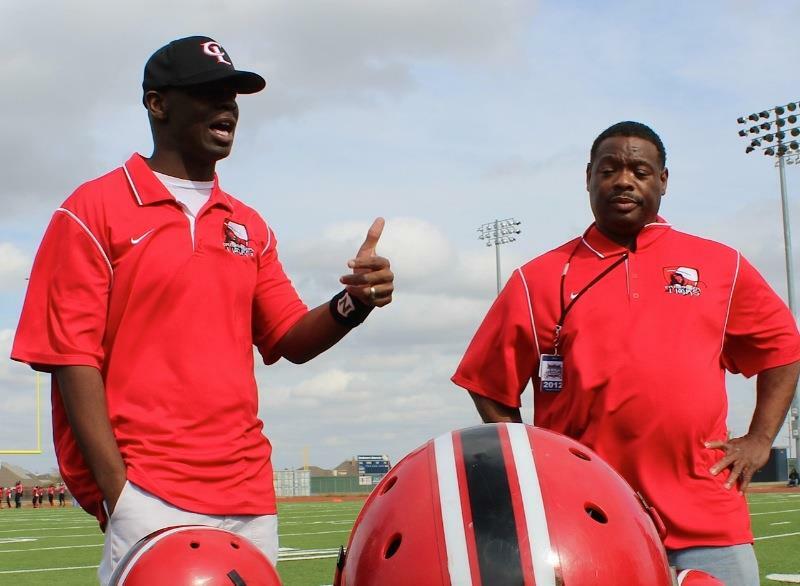 Coach Philip Abode started coaching youth football in 2008 at the North Mabee Boys' and Girls' Club. As one of the pastors of Crossover Bible Church, he was looking for a way to get more involved in the community center where Crossover Bible Church met. He figured that since he played football in college at the University of Tulsa that he could help out their football program. He had no idea how clueless he was about coaching youth football. After a humbling preseason scrimmage performance, Coach Philip did a lot of research on running a successful youth football program. Coach Philip and his coaching staff were able to take a team full of first year third graders to a league championship! Crossover Bible Church started the Crossover Sports Association (CSA) three years after Philip became lead pastor. Philip's vision for CSA has been to develop a high quality youth sports organization that places just as much emphasis on academics. Philip has absolutely loved being a part of CSA both as a football coach and organization president.